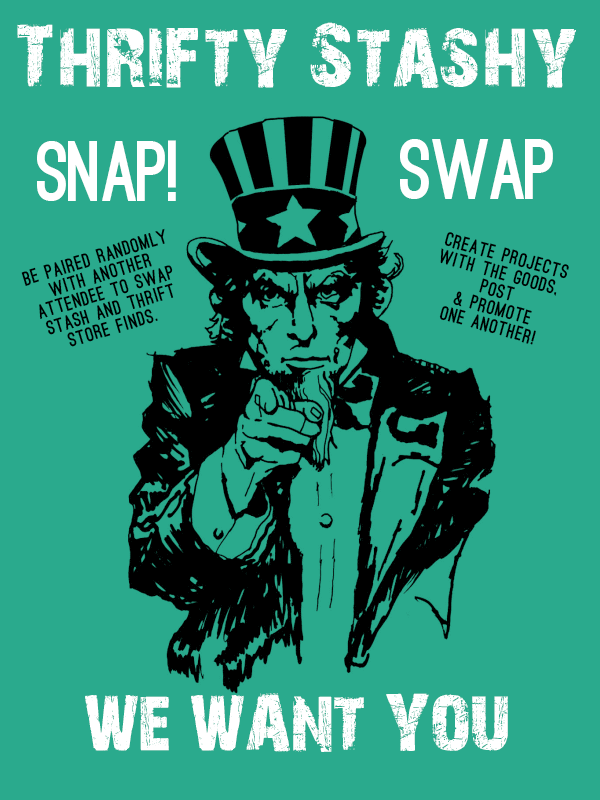 In March I signed up to be a part of the Thrifty Stashy SNAP! Swap. Everyone who signed up was matched with a swap partner to send a package of goodies and then they were to make something from what they received. I was matched with Katie who blogs at Sew Woodsy with her husband, and together, they blog about their projects and tutorials. But let me tell you, Katie also has a fabulous cooking blog called Katies Cucina. She has some really great recipes and giveaways too!! OK, back to the swap goodies I received from Katie. Look at all this fun stuff!!!! Here is what I was most excited about. I have picked it up a few times at the craft stores but never purchased it. So I decided to use the square pendants and the Dimensional Magic Mod Podge. I used a printable from Lil' Blue Boo. This is blown up but in real life it looks just like a chalkboard image. Here are some of the projects that other swappers who signed up have created.